Should I invest in Sovereign gold bond or physical gold bar or Gold ETF? Govt has given you option of investing in gold through Sovereign Gold Bond scheme launched last year. You get 2.5% interest Plus natural appreciation or depreciation of Gold. In physical gold, you face natural appreciation or depreciation but no guaranteed income of 2.5%. This all about SGB and other things you can find here. 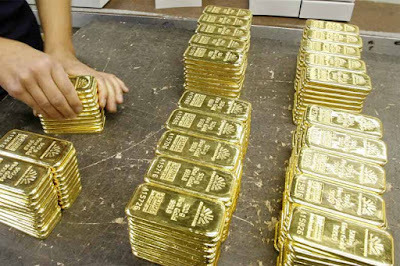 I just want to add that physical gold also provide surety of money when Bank stopped working. Suppose a very big natural calamity has destroyed big part of our civilization then where will you look for Bank! But if human race exists then you can use Gold for exchange. Bank stopped working for some other not so extreme reasons too. Greece on the face of Bankruptcy has closed bank for few days before Europe has provided debt to come over it. We can believe on Gold as it is used from time immemorial. Now, you may think that in that scale of calamity if I will be there or not is also not known. and you are right. In SGB, you are getting 2.5% assured return which over long term matter. Physical gold also provide feeling of some worth.